Manufactured in France from 1950 until 0. In the Photo-Plait catalog of 1952, Telka 4,5 X 6 appear. The drawing which accompanies it is that of Telka II. The text indicates that its shutter reached the 1/250 of second. In the same page, are presented Telka 6 X 9, of which description is that of Telka I. 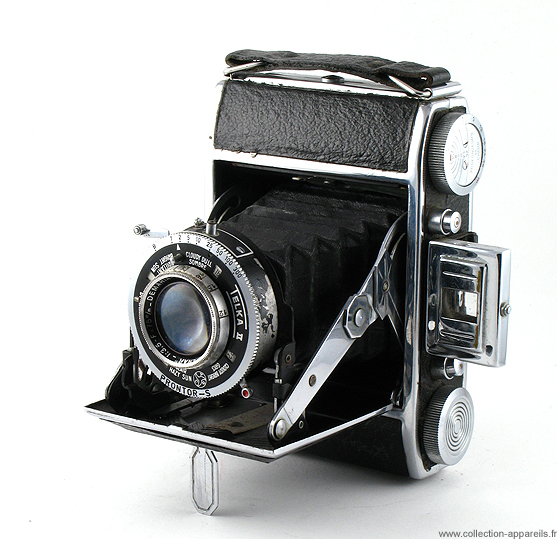 It seems that the denomination of Telka I and II was not final in 1950, at least at Photo-Plait, since in an American review of May 1950, the two cameras appear well under their name final. In the Photo-Plait catalog of 1953, the names are those which one usually knows. 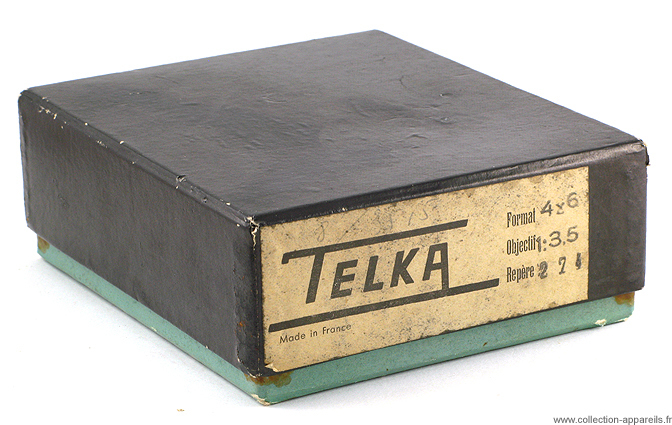 Telka II is one 4,5 X 6 cm which replaced of the same format Dehel . Raising bilingual indications, it was exported abroad. This one returns from New Zealand (the distances are in feet).